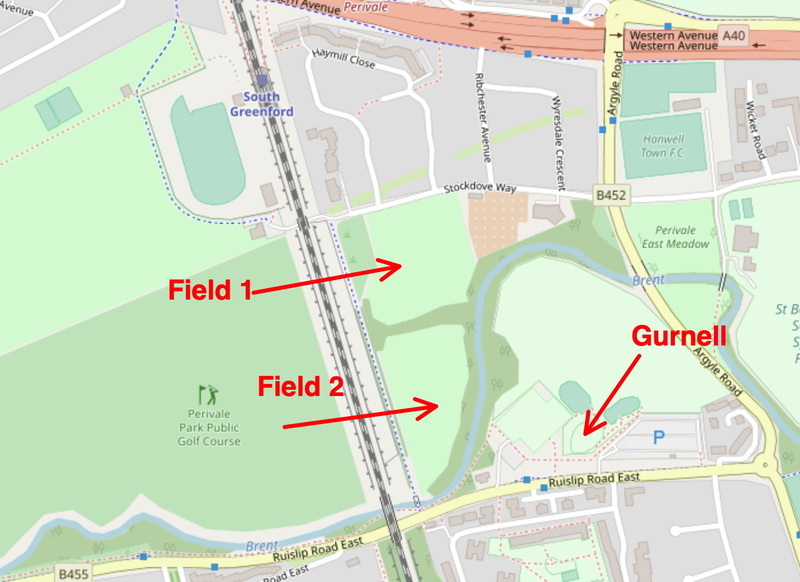 Part of the greenway includes the green spaces shown below, including what are labelled Fields 1 & 2 (probably Perivale West Meadows) and separated from Perivale Park by a railway line. I mentioned this project to a friend who volunteers at the Barnes Wetland Centre, and he in turn suggested a friend of his, Richard Bullock, who delights in surveying meadows for their botanical diversity. So it was on Sunday September 30th, 2018 that five of us (Richard, Dave and Maria Widdowson, Zé and myself) ventured into the Perivale meadows to inspect the plant (and bee and spider; can you spot them?) life. We spent about three hours there before ending at St Mary’s church graveyard in search of a rare Rustyback fern, last reported in 1991 as part of a nature conservation survey conducted by the London Ecology unit. 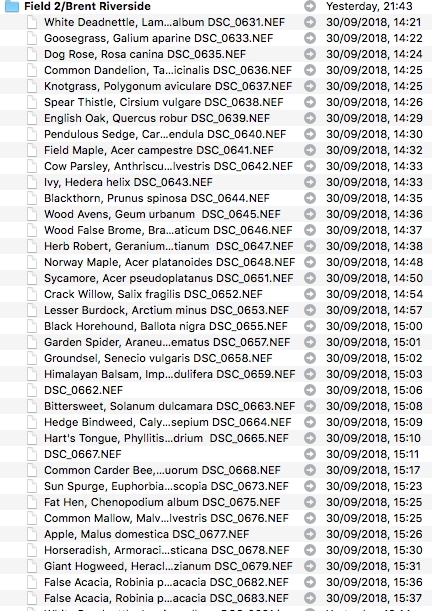 The following is a list of the above, with DSC numbers if you want to contact us for the RAW files from the camera. The breakdown into the individual areas is indicated below. Field 1 was certainly more diverse than Field 2. I understand that this latter field might be converted into a wetlands; it is to be hoped that Field 1 at least might be preserved as a diverse meadow! 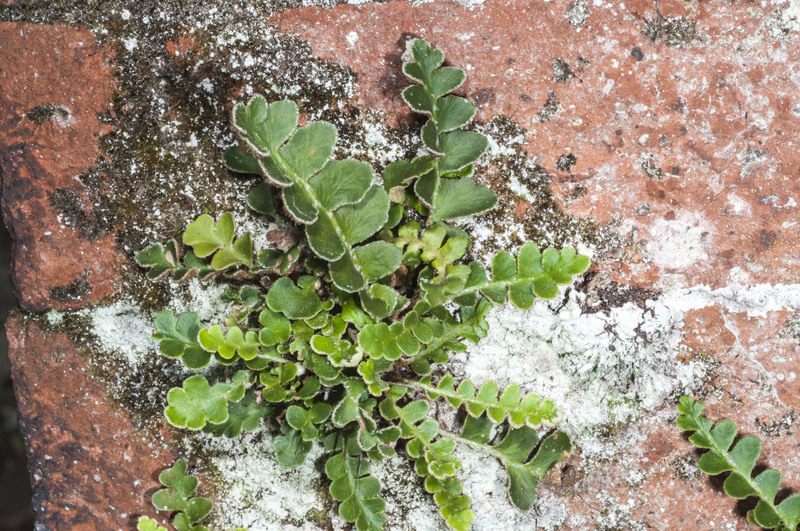 Finally, the Rustyback fern found on a tomb in the graveyard of St Mary’s church. This one got Richard quite excited! Please send us comments on any of the species above that you might have an interesting fact or story to tell us. Previous PostPrevious Greenford to Gurnell Greenway Project. Next PostNext Perivale Park: the orchard project starts!